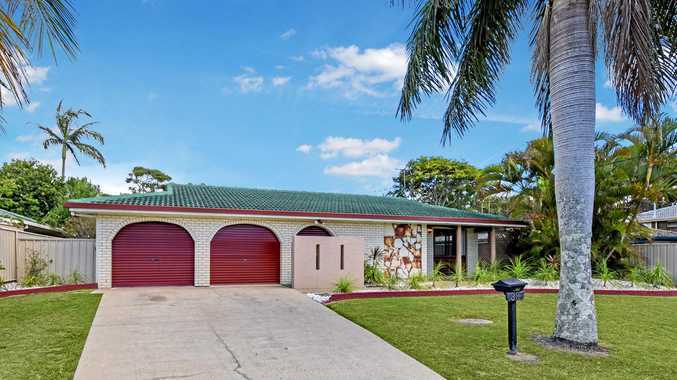 COMPLETE with three bedrooms, one bathroom, central kitchen, open plan living, sunroom/office/fourth bedroom, alfresco entertaining patio at side and rear, plus double lock-up garage on a well-established 617sqm block with a fenced backyard. This is a cracker. Features include dishwasher, stainless steel wall oven, ceramic cooktop, air-conditioning in master bedroom, separate bath and shower, colourbond fence, and garden shed. The home is in immaculate condition, and certainly could be lived in comfortably prior to renovation, it's a trip back in time, and quite a pleasant one. Solid, with a fantastic yard for kids and pets, plus there's plenty of room for a pool. This home could be extended up or at ground level and transformed into a fabulous family home within walking distance to the river; an ever-popular area, always in demand.